Nothing you have read or studied prepares you for the first time you witness a birth. For me, this happened as a medical intern in the largest maternity hospital in Delhi – just two hours after entering the labor ward. It was December and most of the few space heaters available were placed near the nurses’ station. Women waiting to deliver shivered and asked for blankets. And then it happened: as I attended a woman in delivery, a small head emerged every time she pushed and – finally! – her newborn’s body slipped out so easily. My hands trembled as I tied and cut the cord, and noted the Apgar score (for appearance, pulse, grimace, activity and respiration). The labor room had no partitions between beds, so the many women awaiting their own delivery witnessed the anxious, painful, wondrous moments preceding neighboring births. I was overwhelmed by the experience. In the 30 years since, as a public health physician and director of USAID’s flagship global maternal and child health programs, the exhilaration of seeing a new person enter the world has never waned. The memory of some deliveries linger for years – for both good and tragic reasons. But one birth last year remains vibrant in my mind for a different reason: it was the birth of my first grandchild. My daughter Isha’s water broke just after midnight, and mild contractions followed every 5-7 minutes. By the time she arrived at the hospital, her husband, James, messaged us to say that the contractions had dissipated and the long process of labor induction had started – Cytotec, Pitocin and, eventually, an epidural. Yet it would still be hours before active labor would begin. As anyone who has lived the experience can tell you, a grandchild’s birth is profoundly moving. At once, you’re reliving your own deliveries and – in the case of those of us in global maternal health – countless others you’ve witnessed or read about. And the tendency to make comparisons is automatic. More than any one thing, the presence of a skilled nurse, midwife or doctor can mean the difference between life and death for a pregnant woman and her baby. Many say childbirth is natural – and it is. But so are death and disability when things go wrong during childbirth, which remains a time of high vulnerability for women and newborns the world over. Our family anxiously, excitedly began to guess the delivery time. But all of our estimates – 9:30 pm, then 11:00 pm – eventually passed. It was not until midnight, 24 hours after her water broke, that we learned Isha was finally in active labor. What if? I shudder to think. What if Isha lived in one of the countries where I work, where we’re striving to improve labor and delivery care? 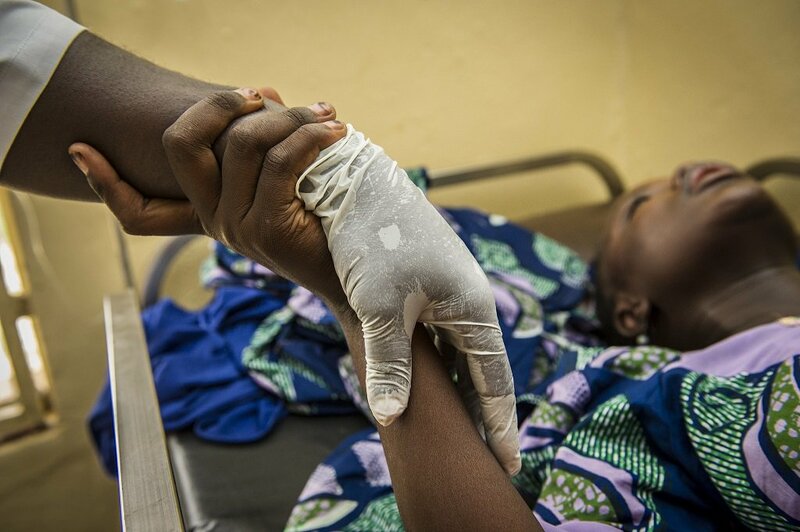 She may not have understood the need to reach the health center when her membranes ruptured due to the increased risk of infection for herself and her baby if too much time lapsed before giving birth. She would have borne the pain of contractions for more than a day and still not have been close to giving birth, all without the baby’s heart rate monitored. If her health care providers did not track her labor progress or did not refer her in time, she could have died from one of several causes of maternal death, including sepsis. She could have developed an obstetric fistula, a not uncommon complication associated with such prolonged labor. And the baby could have been born with intrapartum-related complications or been a stillbirth, thereby adding another statistic to the tragedy of the 2.6 million stillbirths globally every year. If at some point a health center had referred her to a hospital for prolonged labor and rupture of membranes, she may not have been attended to right away – facing the dreaded third delay in receiving care. What then? By 3:00 am, we received a message that Isha is fully dilated and had pushed for 20 minutes with no success. After this message from her husband, our texts get no response. Our phones go silent. All night, I don’t sleep. At 8:06 am, a message from James: their first child – our first grandchild – has been born and Isha is coming out of anesthesia after a c-section. Immense relief and joy wash over me. We later learned that my daughter had every complication associated with prolonged labor and rupture of membranes – the baby’s head did not descend; Isha experienced heavy bleeding due to what the doctor suspected was an abruption of the placenta; she developed a fever due to an infection associated with prolonged rupture of membranes; she required general anesthesia for an emergency c-section when her epidural stopped being effective; and my grandson demonstrated signs of increasing distress. But every complication was managed well, and the outcome was a very happy mother and a healthy, 7 lbs. 3 oz. boy – Arnav Cronwal. Even as we rejoice in the birth of Arnav, I think again of what would have happened if Isha had not been in a hospital with a ready team of obstetricians, pediatricians, nurses, and anesthesiologists. If she had not been in a hospital that could provide essential intravenous antibiotics for her and her newborn after she developed an infection, or have the readiness to manage birth asphyxia for the baby. If she had not been in a hospital that could manage her heavy bleeding. After hearing the account from my daughter, I thought about how fortunate she was to be in Boston, in a modern hospital, with a caring, attentive team of physicians and nurses. My mind raced back to decades before, to a woman in septic shock in a labor ward in Delhi. She had arrived after laboring with a traditional birth attendant at home for more than 40 hours and was dehydrated, delirious with fever, and shaking with chills. When they removed her blanket and our team examined her, we noticed a little hand that had prolapsed. Recognizing the unspoken outcome for the baby, we struggled to stabilize the mother. But both mother and baby died. Not many mothers or their babies in the developing world would be fortunate enough to survive the same circumstances as my daughter. Why, 30 years after I witnessed my first birth, do 830 women and 7,000 newborns still die every day from preventable causes related to pregnancy and childbirth when we know how to save them? My daughter’s 30+ hour labor of love reiterated for me the need to urgently tackle the weak health systems, poor referral practices, lack of skilled providers, poverty and lack of equitable access to high-quality care that set the stage for these needless tragedies. 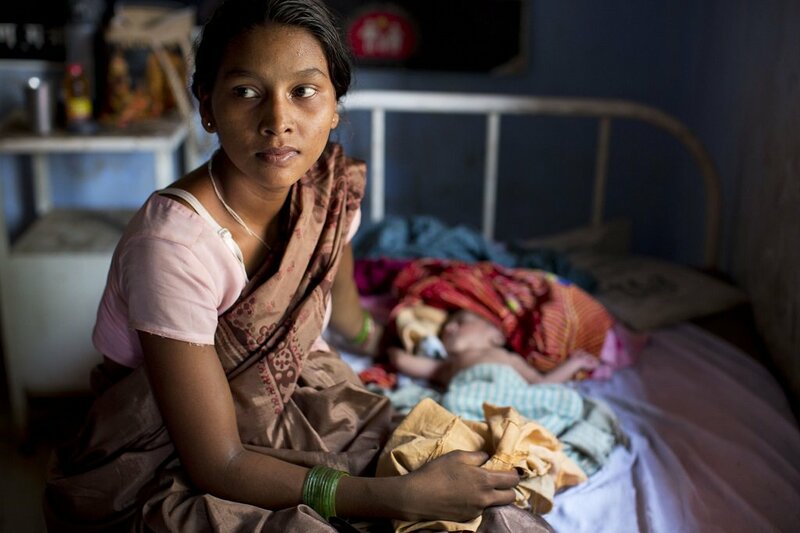 In some countries – such as Tanzania and Bangladesh – maternal mortality rates are plateauing. We can’t let that happen. Every time I visit a health facility in one of our countries; every time I hear of a “near miss;” every time our team reviews the causes of a mother’s death… every time my resolve deepens to continue this work. Our work will not be over until all women, no matter where they live, do not die giving birth, and until every mother and newborn survives and thrives like my daughter and grandson. Follow MCPS on Facebook and Twitter for the latest updates and ways you can support their lifesaving work. Director, Maternal and Child Survival Program (MCSP). 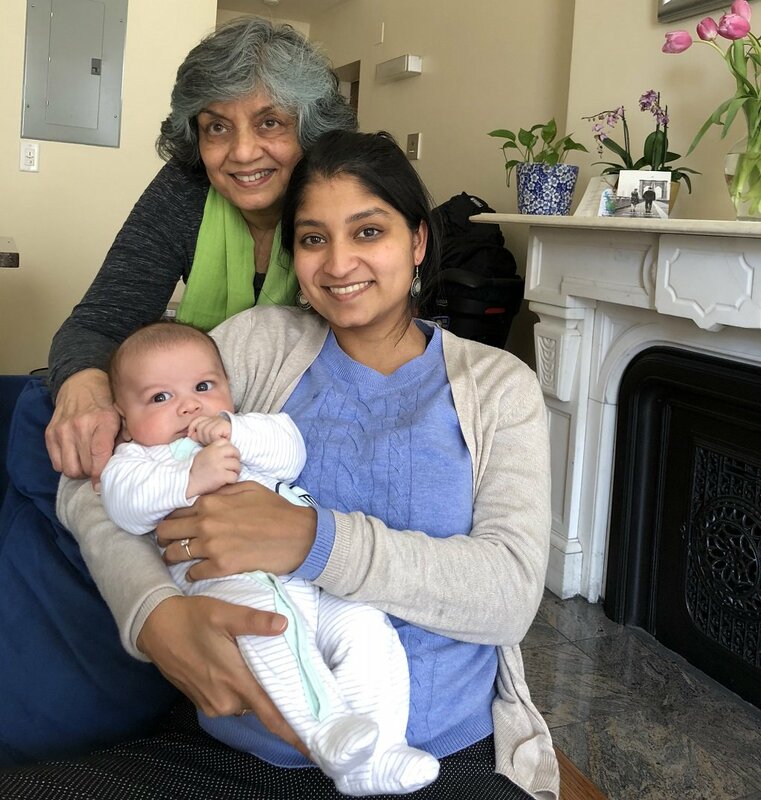 Dr. Koki Agarwal is an internationally recognized expert in safe motherhood, reproductive health, and family planning policies and programs, as well as promoting policy dialogue and advocacy for policy reform. She has more than 25 years of service delivery experience in reproductive health, family planning, and maternal health, and for over two decades has led, managed, and implemented large-scale USAID-funded global health projects.